Furiends I have sad news. You may remember back in September we had our gennacker up (after a small sail repair) but it gave way and ripped nearly in two! I wrote about it here. The humans finally got around to taking it to the very talented sail-maker here, and he said he would try and work his magic. After having a good look at it though, he has said the sail is just too old and the material is ruined. Unfortunately it can’t be saved. We’re not sure what we’re going to do yet about getting a replacement. 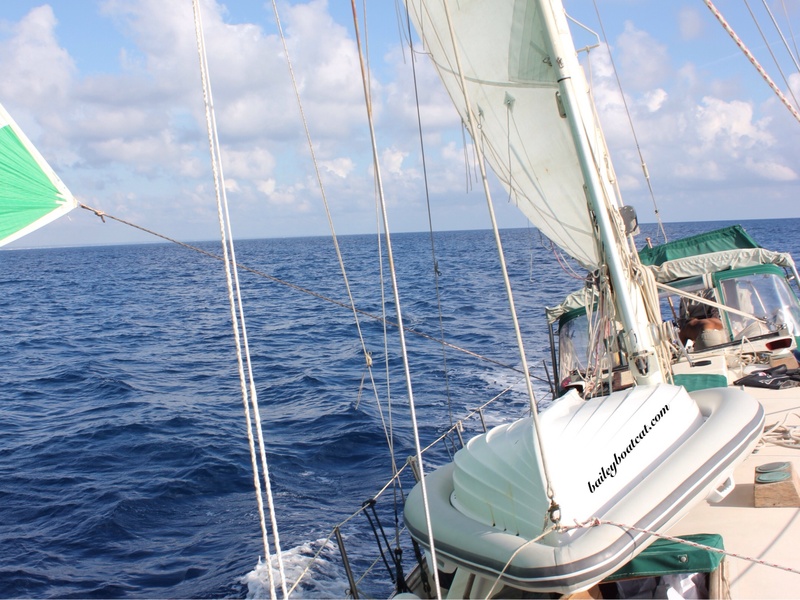 We loved that sail so much and it’s purrfect for sailing in the Mediterranean. « Meowing my way around the world! That will be a big dollar replacement, sorry Bailey. goodness that title scared me for a moment! Sorry about the sail and having to pay the $ to replace it. Time for a new gennacker huh? I’m sure that’s not a CHEAP replacement but purrrrhaps someone knows of a slightly used one???? Oh Bailey I’m so sorry. It was such a beautiful one. But I think getting a piece of it and framing it is a great idea. I sure hope that this doesn’t interfere with you summer sailing plans. You live on such a beautiful sail boat. Sorry, dude – but at least the boat still floats!! RIP, gennacker. It served you well, Bailey. That is bad news, Bailey. Hope they can get another one soon – so you can continue sailing. 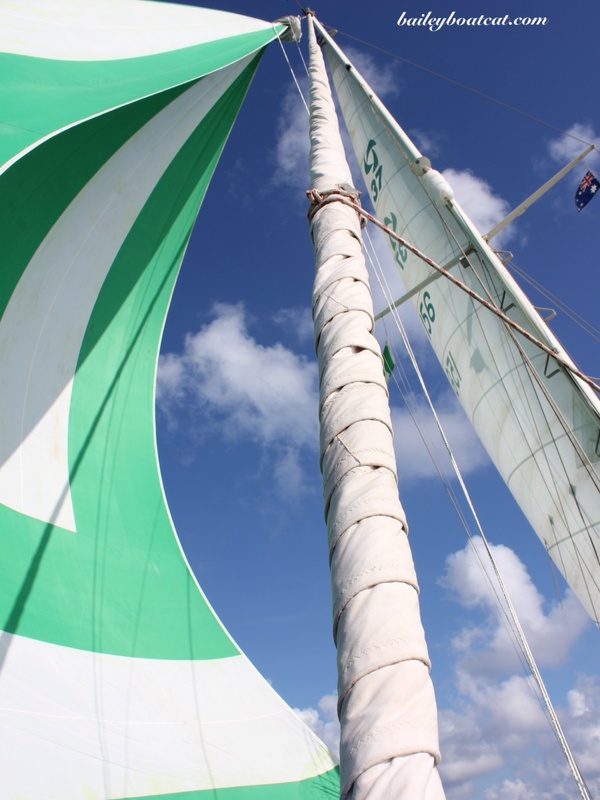 We have a symmetrical spinnaker on Take It Easy – our most often used sail! Like your gennacker it’s getting on a bit… Pricey but essential!